ELIZABETH TAYLOR (1932-2011) Y JAMES DEAN (1931-1955) JUNTOS. 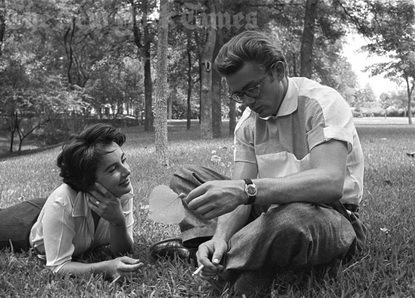 James Dean y Elizabeth Taylor. Los dos fueron jóvenes y bellos. This entry was posted on 27 marzo, 2011 at 2:52 and is filed under CINE, CULTURA, FOTOGRAFIA. You can follow any responses to this entry through the RSS 2.0 feed. You can leave a response, or trackback from your own site.